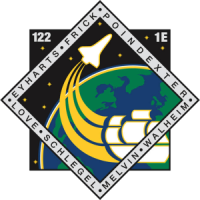 NASA has put a new interactive flight plan for STS-122 on their website. The interactive Flash application allows users to view the shuttle's schedule and relevant pictures. Simply roll the mouse over each day to see the astronaut's agenda for that day. 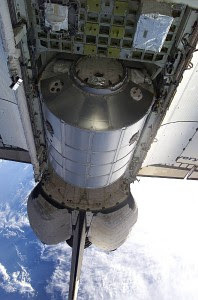 STS-125 has become known unofficially as the "Voyage of Columbus", due to its cargo, the Columbus laboratory. The Columbus laboratory is a European Space Agency contribution to the International Space Station. The Columbus laboratory's main purpose during its 10-year mission is to further study the effects of microgravity on biological and other specimens. The Columbus module in Atlantis' cargo bay. Some events for the STS-122 mission include docking the Columbus module on day 4 and several spacewalks for maintenance of the ISS. Wonderful blog post. I must thanks for your time for this purpose insightful browse; Make treasure writing it very good blog post. At present go here Cash Advance Compete your task.